75% of Singaporeans don't understand the true cost of sending money overseas – which includes both upfront fees and an exchange rate markup. Even if there's a $0 transfer fee charged, it doesn't necessarily mean that is the best value-for-money option...because you ought to measure it by how much you receive on the other side, and not how much you're charged for the transfer. 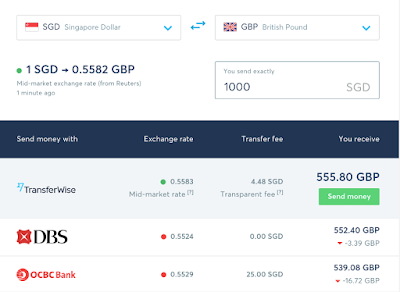 What really intrigued me was how TransferWise charges just under $6 to send S$1k to the UK, in contrast to the other banks, particularly Standard Chartered and HSBC, who charge S$55 - S$57 for a single overseas transaction. Banks that offer $0 fees / zero commission are great...but if this comes at the expense of a higher exchange rate, that's where consumers need to be careful as well. In fact, it'll be best that you always check. That's why it pays to always compare, compare, compare. Or stick to a provider who's known for (almost) always being the cheapest, but still be open to alternatives or the occasional promotions when other competitors come up with them. 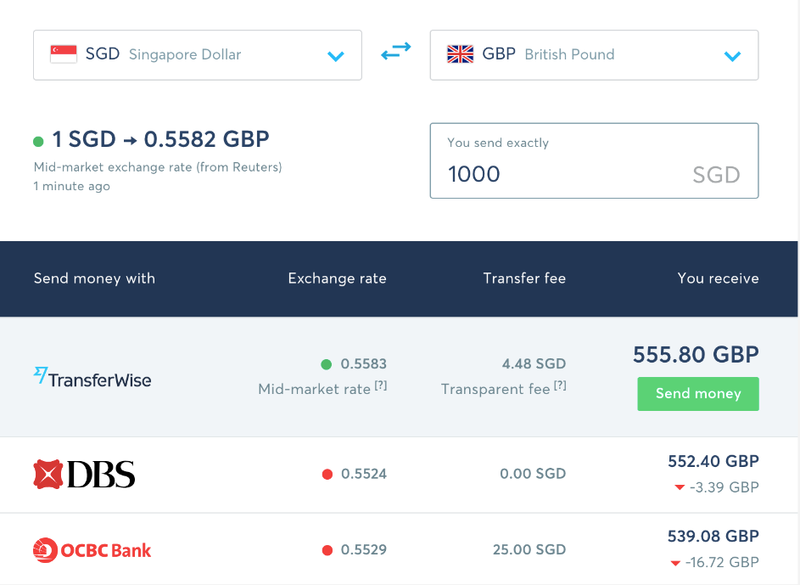 TransferWise is a fintech company with a mission to allow customers and businesses to send money overseas at lower costs. They're able to do this as they've built a global network of (their own) international accounts, which allows them to send your money in over 60 different currencies for up to 8 times cheaper than a bank. That was the first question I asked, haha! So yes, aside from being regulated by the Monetary Authority of Singapore (MAS) and the Financial Conduct Authority (FCA), you can also check out their respective in-country licenses and approvals here. 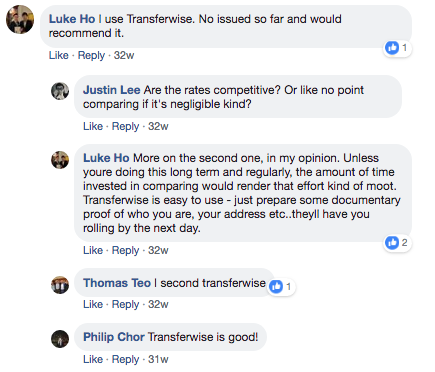 Being regulated under the FCA also means TransferWise is subject to the same rules as banks, so you don't have to worry about the safety of your money. Once you've entered your details as well as that of your recipient (for them to send your money to), you'll be instructed on how to make payment to their local account in your home country, and then you can simply sit back and wait for the transfer to take place! Waitttttt, what's the catch?! Surely there must be a reason why others have to pay such high fees and TransferWise doesn't. What's their trade secret? Since money doesn't actually cross borders (i.e. 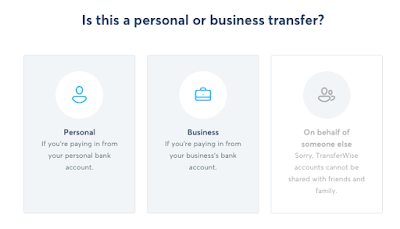 the international transfer is a combination of two local transfers), they're able to bypass the third-parties and middlemen, and this is simply a transfer between TransferWise's own accounts, that's how they can offer lower rates to consumers like you and I. Today, more than 3 million people around the world use TransferWise. As a result, they're also one of the few profitable fintech startups in the scene. If you're a student studying overseas, you can get your parents to remit your money to you using TransferWise. Whether you're studying in Australia, US or the UK, TransferWise has local accounts in pretty much all the major countries. 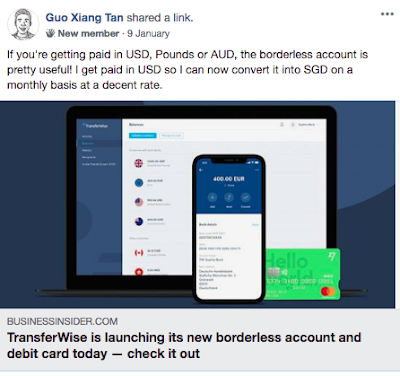 Given how many Singaporean students go on overseas exchanges and need to pay for tuition, accommodation and other living expenses, TransferWise should be quite helpful in this case. When I went for my (two) overseas exchange programs during my university years, it cost a bomb to transfer money from Singapore to abroad, and sending it via international bank transfers weren't cheap at all! If you're an expat working in any of the 59 countries shown above, and need to send money back to your own home country account, you'll find this useful. 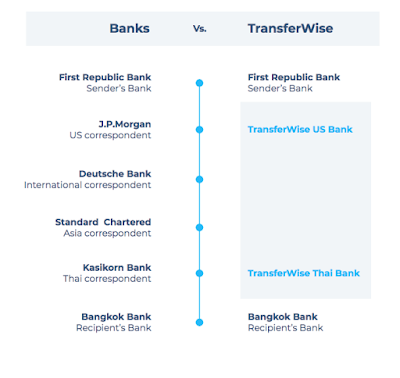 Many expats presently use TransferWise for this purpose to send to their own account(s) in the US, India, Europe and more. 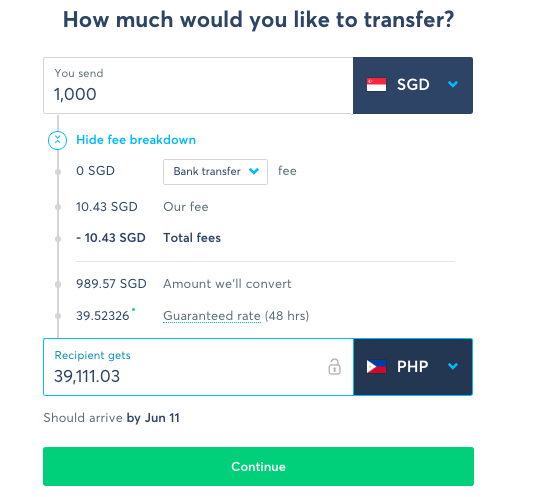 Whether you're a blue or white-collared worker here, who came to Singapore looking for a better job or higher pay prospects so you can support your family members in Malaysia, Philippines, Indonesia or elsewhere...TransferWise can help. In fact, many foreign domestic workers use TransferWise since they've accounts in most countries in Asia, where many of our FDWs are from. Many businesses here rely on overseas suppliers, and payments routed through PayPal or your bank often charge a high fee. You can avoid or reduce those fees by going through TransferWise instead! Simply add your supplier as a recipient and the money will be transferred from a local account there to theirs. The money you save will be substantial, especially if you've a high frequency of payments! Just hired a freelance web designer, developer, copywriter or coder from abroad? Or if you're like some business owners I know, who rely on overseas writers to churn out their content and orders, you can easily make payment to them every month now via TransferWise. I hope this helps all of you when it comes to sending your money safely and cheaply abroad. Click here if you'll like to try out TransferWise for cheaper international transfer now!